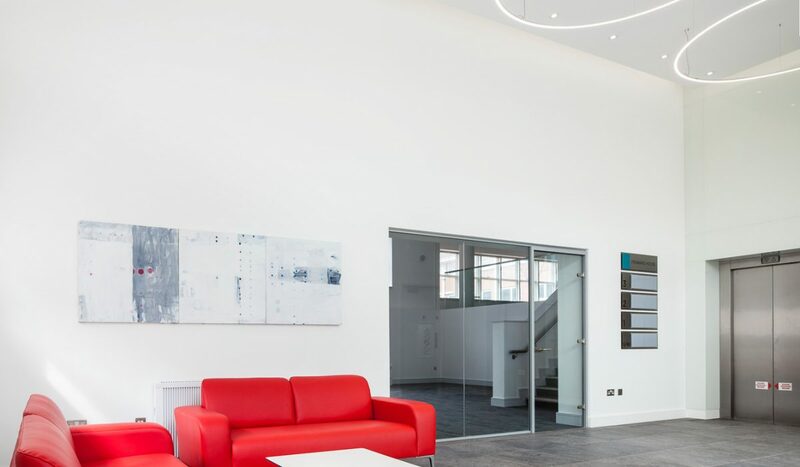 DMOD Architects were asked by Urban Solutions to review Fenward House in relation to visually upgrading the general approach to the building, the entrance lobby, lift lobby and toilets and the office floor plates. 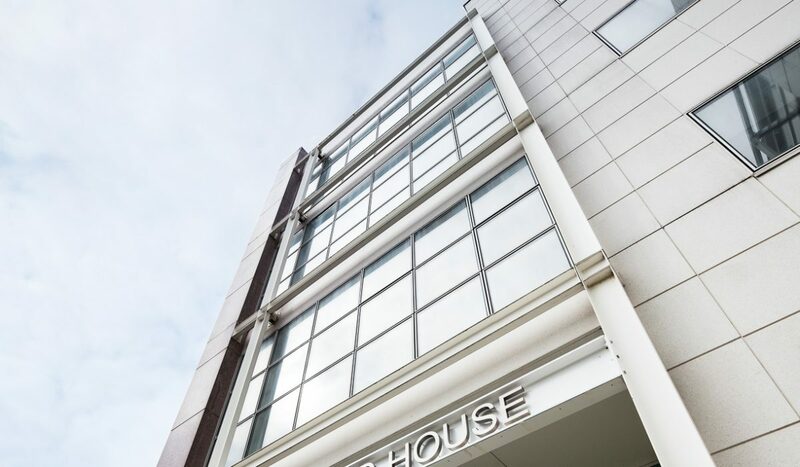 The building, which was developed 12 years ago and been fully tenanted up to recently, has seen little investment over this period. 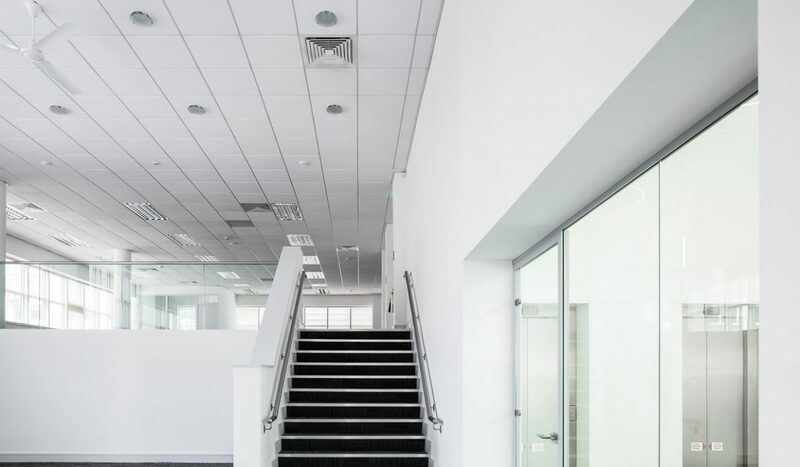 The objective now is to present the building to an improving commercial office market as flexible space, to be let on a floor by floor or single occupier basis. 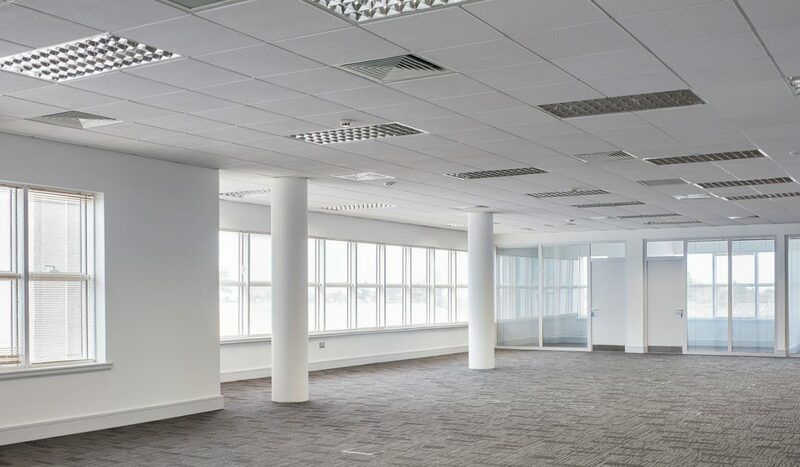 The building comprises 4 floors with a total gross floor area of circa 2000m2 plus basement car parking. 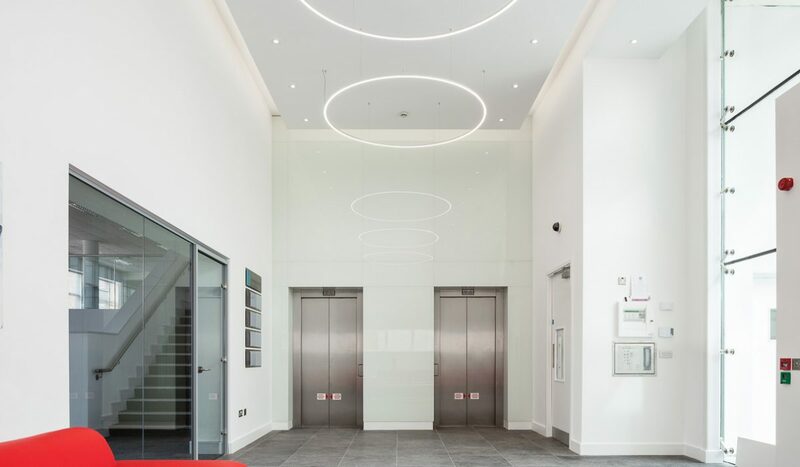 The works included mechanical and electrical upgrade, general refurbishment of all floors, and a complete redesign of the main entrance lobby. 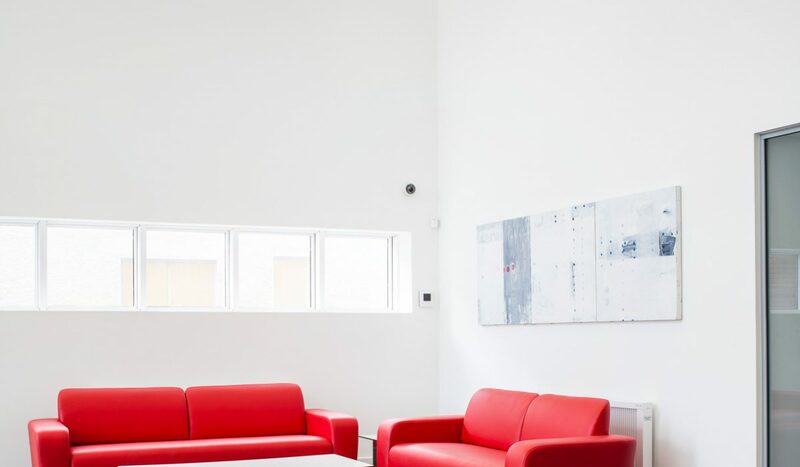 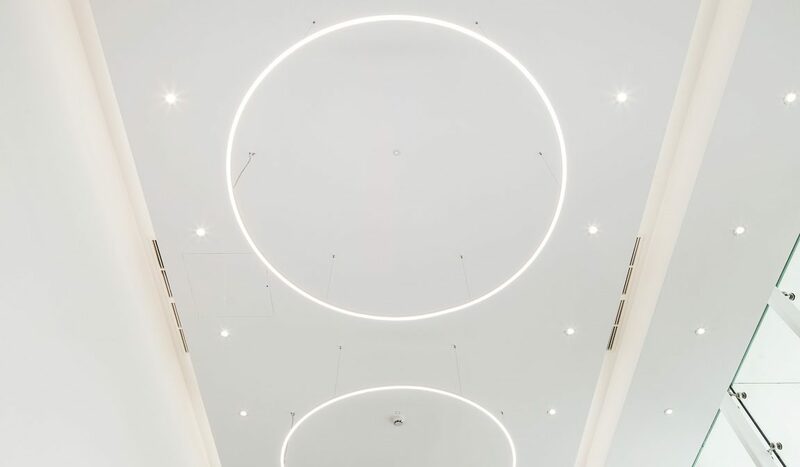 The entrance was conceived and as a simple white space, with new finishes, interesting lighting effects, selected furniture and artwork, which will enhance visitor and tenant experience. 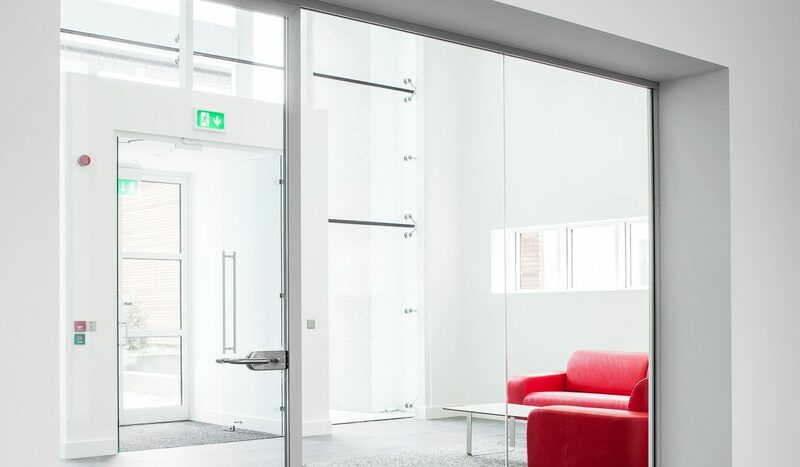 The project was completed on time and within budget.